And some problem, more magic class gave big damage to boss. What happend ? soon u will get stronger, and if they didn\'t change wotld boss, you will blame they again when some1 can do 1 hit to boss at your server. They buffed wordl boss and people still complain, pathetic. People have been complaining about WB only lasting 1-2-3 Minutes at the Most!! Now we finally got a Stronger WB Update, which we\'ve desperately been needing, and ppl still complain!! 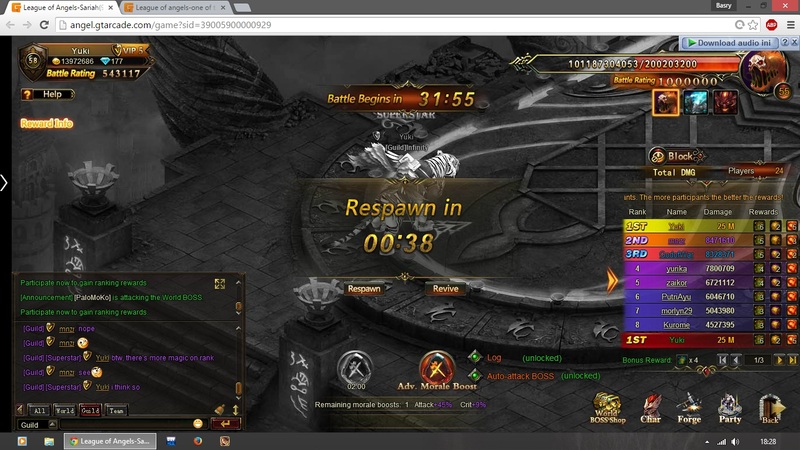 Well, your server has a target then, to become strong enough to kill all 3 bosses in 1 hour. The new world boss is a big improvement on the previous, and a server with a couple of big hitters with 10-20 other players should kill all 3 in 20 minutes or so, I think. I\'ve seen a 3M BR player with IRB doing around 50 mil damage per attack, as opposed to typical 400M ~ 500M+ attacks. 2019-4-19 07:08 GMT+8 , Processed in 0.116381 second(s), 52 queries .